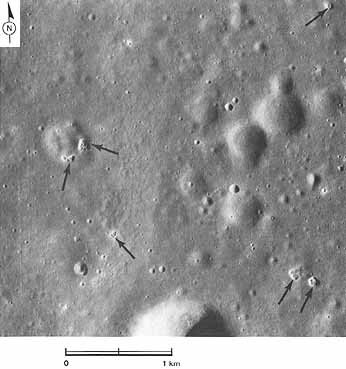 Several extraordinary, tiny, puckered, collapse depressions (arrows) are in this detailed view of a very small area of western Mare Serenitatis. 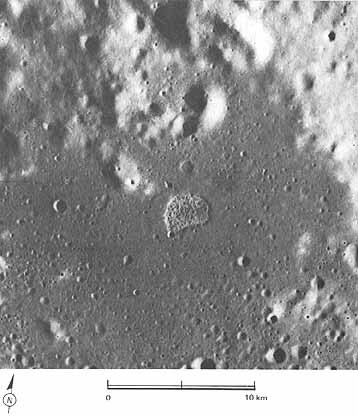 The collapse depressions are distinctly different from the many normal craters in this picture. One normal crater contains two clusters of the depressions. 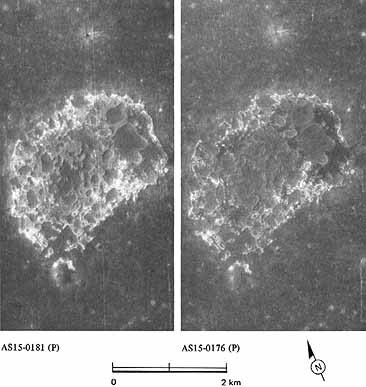 Such depressions are known nowhere else on the Moon; their closest analog is the odd but very much larger feature shown in Figures 232 and 233. The collapse depressions here are much fresher and younger than the cratered lavas in which they occur. 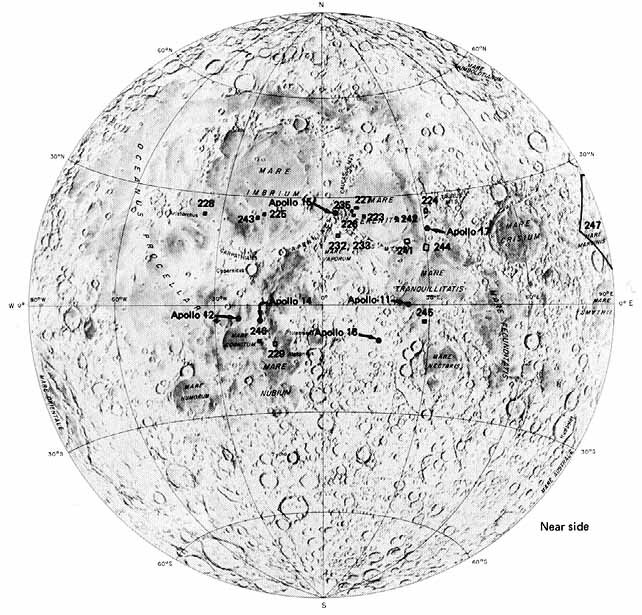 In fact, they must be among the youngest nonimpact features on the Moon. How the collapses occurred is an intriguing puzzle. Were they formed by the recent escape of gas from beneath the surface? -K.A.H.